Most people will have some kind of injury to the shoulder at some point in their life. And women, you are more prone to shoulder injuries than men are. It is speculated that this is because women are more flexible than men, especially younger women. Women over 40 have a higher risk of having a stiff or frozen shoulder, especially after menopause. The thing about shoulders is that it isn’t always about the shoulder. Shoulder pain can be caused by a number of different weak links in the body. If your neck is out of alignment it can pinch a nerve, radiating pain to the shoulder area, called “referred pain.” Determining the cause of pain can be quite challenging. You can have shoulder imbalances from a sedentary lifestyle or from improper strength training. If your shoulder girdle muscles are weak this can create instability in the shoulder joint. Many times it is the result of overuse activities, either work or sports related. As we get older, deterioration of the joints or joint capsule can create a multitude of conditions, such as arthritis. Other injuries and conditions include but are not limited to rotator cuff tears, inflammation of the bursa, and shoulder impingement. The good news is that we have an advantage over our most recent ancestors! In the past, shoulders were a mystery—very poorly understood. But with recent technology such as the arthroscope, MRI scanners and improved biomechanical analysis techniques with high-speed videos, doctors have a much better understanding of how the shoulder works and how to prevent shoulder injuries. Okay, so what can you do to keep your shoulders healthy and prevent injury? Well, you could hire a knowledgeable personal trainer, like myself, to design a shoulder prevention work out for you. Or, next best thing, you could buy Framework for the Shoulder: A 6-Step Plan for Preventing Injury and Ending Pain, by Nicholas A. DiNubile, MD, the latest in his Framework Active for Life series. DiNubile is an orthopedic surgeon that specializes in sports medicine and has worked as a consultant to the Philadelphia 76ers, and the Pennsylvania Ballet. He is also a best-selling author with an award-winning television special, Your Body’s FrameWork. Framework for the Shoulder takes the mystery out of how the shoulder functions. When you finish reading this well-written, easy to understand book you will know all about the shoulder muscles and anatomy, how the shoulder can become damaged and imbalanced and what you can do to best care for them without surgery or drugs. It provides a 6-step plan that covers exercises, nutrition and lifestyle guidelines. The book provides a shoulder health assessment to determine your risk of shoulder injury and help you determine any weak links. 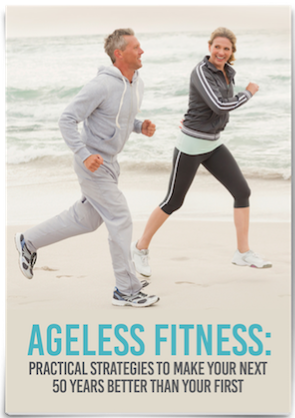 It is complete with exercise programs that you can customize for your needs. It includes a basic program, a high-performance program and a recovery-rehab program for those already experiencing pain or weakness. However, before attempting a recovery program you will want to check with your doctor first to determine if the program is appropriate for you at this time. The exercise programs in DiNubile’s book focus on the upper body and core. Anyone looking for a complete exercise program for all the major muscles would want to add lower body exercises to this program to make it complete. This book is a must read for any one over forty and anyone that wants to start now to prevent problems in the future. Most of my clients are over forty, and many have shoulder problems or have had them in the past. I have studied the shoulder joint extensively because of this. I know how important it is, from personal experience, to strengthen all the muscles of the shoulder joint, including the rotator and shoulder girdle muscles. You need to understand this too. Keep yourself out of the doctor’s office by starting your shoulder prevention program now!